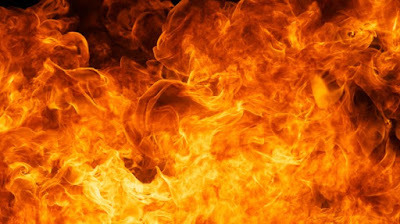 One Ifeyinwa Nkechi, was arraigned before a Yaba Chief Magistrates’ Court in Lagos State on Monday for allegedly setting her husband’s original certificates, official documents ablaze, over suspicion that he is having an illicit relationship. The 36-year-old woman is standing trial on a two-count charge bordering on malicious damage. According to the prosecutor, Roman Unuigbe, the accused committed the offences on September 16 at their residence, 45, Church Street, Fiwakesin, Agbede in Ikorodu area of the state. The prosecutor said, “The accused who suspected that her husband was having an illicit relationship with another woman, planted a tape in his office bag to record their conversations. “The accused also found out that her husband was spending time at a hotel with another woman and out of jealousy, took all the documents he had brought from work, including his original certificates, and set them on fire. “Her husband, who made a report at the police station, said he wanted her charged to court for willfully destroying four international passports belonging to clients. “The offences contravened Sections 338 and 348 of the Criminal Laws of Lagos State 2011,” the prosecutor said. The Chief Magistrate, Mr. P.A. Ojo, in his ruling, granted the accused bail in the sum of N200, 000 with two sureties in like sum. “The sureties must show evidence of tax payment to the government; one of the sureties must be a blood relation of the accused and should be gainfully employed in a reputable and verified organization,” the Magistrate ruled, adjourning the matter to November 4 for hearing.